Punta Matzoma, Puerto Aventuras – Fantastic direct ocean views in this large, fully furnished ground floor condo. It is located in the gated golf community of Puerto Aventuras, about 15 minutes south of Playa del Carmen. This condo offers 2 bedrooms and 2 bathrooms with direct access to the pool and beach off the spacious terrace. • 1,772 sq. ft., 2 bath, 2 bdrm 3 story – $270,000. Great price – beachfront! Beachfront Condos, Puerto Aventuras – Announcing a price reduction on Puerto Aventuras, a 2,217 sq. ft., 3 bath, 3 bdrm single story “Large terrace with ocean views”. Now $425,000. Price drop ! Elegant 3 bedroom ocean view condo in Puerto Aventuras for sale. Price was 650,000 USD dropped to 525,000 USD Now, Sept 2016 is 425,000.00 Steal of a deal for real estate in Puerto Aventuras on the Beachfront. Personal use or vacation rental investment, this is one of the best buys for condos in Puerto Aventuras. This Puerto Aventuras condo for sale is huge with 2217 sq ft of interior space with large terrace facing the ocean, in a 4 story building. Furnished with classic Caribe furniture and fully set up kitchen with top of the line appliances and granite counter tops, this condo is ready to move in and begin renting. There is a large pool leading to the sandy beach and blue calm waters of the bay of Puerto Aventuras. If you are boat person, you’ll like the fact this condo faces the beach on one side and has the marina on the other side. Puerto Aventuras is a gated beach, 9 hole golf course and marina community with full service Marina for yachts. Something for everyone. Marina lifestyle, the world’s second largest barrier reef, a wildlife sanctuary, a 9-hole golf course just a stone’s throw away from beautiful beaches… that’s only some of the incredible features of the unique community of Puerto Aventura. Even if you are a local resident or a frequent traveler to the Riviera Maya area, you may not have heard of Puerto Aventuras. But why is that and what more can you discover about this one-of-a-kind paradise? Situated just between Playa del Carmen and Tulum, Puerto Aventuras has the world’s second largest barrier reef, a world-class marina, and a wildlife sanctuary. Perfectly located in the heart of the Riviera Maya, the town epitomizes the essence of the area: white sand beaches, turquoise water, great sightseeing, archaeological Mayan ruins and multiple islands. But the benefits of Puerto Aventuras go way beyond its ideal location. One of its best-hidden secrets, the town has one of the few marinas in Mexico that can accommodate large boats and is one of only two between Cancun and Belize that offers full-service. The marina provides docks for different sized boats and yachts from 10′ to 150′ long, sailboats, luxury ships and small fishing boats. A complete residential marina lifestyle, it has a unique and ingenious layout where most homes and condos have immediate access to the canals. Boat lovers and owners can literally tie up their boats directly in their backyard! You’ll also find excellent opportunities for snorkeling, diving, sailing and fishing. Puerto Aventura is as well the location of the first golf course in the Riviera Maya area which was designed in 1991 by renowned PGA player Thomas Lehman. Also a wildlife sanctuary, you’ll find dolphins, sea lions and manatees in Puerto Aventura. You can even go swimming with the dolphins! The town also has a number of hotels, restaurants, shops, as well as many bike paths, jogging spaces and tennis courts. So how come so few people know about this Caribbean gem? A safe and well-protected community, many people assume that the town is off limits but that’s simply not the case. Visitors are always welcome at the restaurants or various hotels. You’ll also find many vacation rentals in the area. Because most of its hotels and vacation rentals are not listed on common travel and booking websites like Expedia, Puerto Aventuras has remained a very exclusive real estate development. If you do manage to find yourself in Puerto Aventuras, you will immediately notice its tranquil and friendly vibe! With residents hailing from all over the world, the main language spoken is English. Most people can’t help but fall under the spell of this enchanted community and want to spend as much time as they can there. Prices for vacation rentals and investment properties will be a little higher than in Playa del Carmen or other towns in the Riviera Maya. But as any resident of Puerto Aventura will tell you, it’s worth every penny! If you are keen to learn more about Puerto Aventuras and its many amenities and investment opportunities, talk to one of our real estate agents. 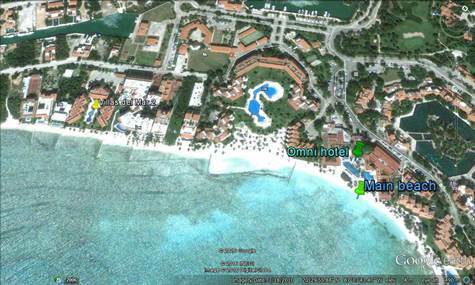 Living Riviera Maya has many properties listed in this little piece of paradise! Puerto Aventuras Waterfront, Puerto Aventuras – Lovely Puerto Aventuras waterfront condo for sale, 2 bedrooms, 2 and half baths with large terraces overlooking the largest pool in Puerto Aventuras pool and marina where the dolphin swim. Pictures show furnished however condo is sold unfurnished. Owners just really want to get this sold as they have moved to a different country. This penthouse condo for sale is ideally situated in the gated community of Puerto Aventuras, a marina and beach and golf residential community, in the Riviera Maya, just south of Playa del Carmen, one hour from airport. A special opportunity exists for an investor looking to double their investment by buying a second furnished (2,279.5 sq.ft. or 211 sq.m.) adjacent condo. The two can easily be converted into one super large unit, or used as separate long or short term rentals. As an extra incentive, the purchase of a two condo package will entitle the buyer to the owners bonus that includes a beautiful, sporty Peugeot 207cc hardtop convertible in excellent condition. Bring your bathing suits, the water is gorgeous!! Call us to see this outstanding property. Unfurnished condo rented long term and brings in 2000$ a month. Pictures show furnished but is sold unfurnished. Puerto Aventuras Waterfront, Puerto Aventuras – SPACIOUS AND WELCOMING PENTHOUSE CONDO FOR SALE PUERTO AVENTURAS. PUERTO AVENTURAS IS A GATED RESIDENCIAL MARINA AND GOLF COMMUNITY ON THE MAYAN RIVIERA MEXICAN COAST , JUST SOUTH OF THE TOURISTIC CENTER OF PLAYA DEL CARMEN. THIS 2 STORY CORNER CONDO HAS 2 LARGE BEDROOMS, 2 1/2 BATHS, OPEN AREA LIVING SPACES, A LARGE VERANDA FACING ALL GREEN COMMON GROUNDS. BEYOND THAT IS FACES THE LARGEST POOL, A 175 ft. INFINITY SWIMMING POOL. THIS “ORIGINAL OWNER” PENTHOUSE FEATURES CUSTOM CABINET FURNITURE, LEATHER COUCHES, NEW SMART T.V., HIGH END APPLIANCES, AC AND FANS, AND TILED FURNISHED PATIOS INCLUDING A ROOFTOP HOT TUB AND RETRACTABLE AWNING COVERED ENTERTAINMENT AREA. Special opportunity exists for an investor looking to double their investment by buying a second unfurnished (2,279.5 sq.ft. or 211 sq.m.) adjacent condo. The two can easily be converted into one super large unit, or used as separate long or short term rentals. Beachfront Condos, Puerto Aventuras – Luxurious beachfront penthouse with broad ocean views of turquoise warm waters of the Mexican Caribbean. This outstanding 3 bedroom penthouse for sale, in elegant Mexican-style decor, offers space, style and is the perfect turnkey home. Luxury furnishings and exquisite design make this a dream property. 2 terraces with shading and jaw dropping sunsets. Enjoy ocean fed salt water swimming pool with built-in sun loungers. This is the most luxurious complex in Puerto Aventuras and offers countless amenities at your fingertips. So well loved for its tremendous natural beauty. A gated golf community by the sea, a private place to relax, recharge, and reflect… a place where families come together season after season to share old memories and create new ones. 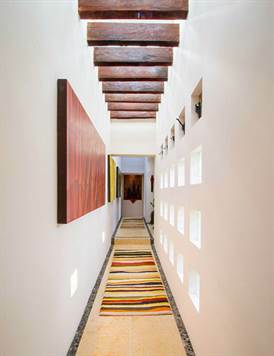 Make this your private home in the Riviera Maya or use this as an investment property. Secret Waters, Puerto Aventuras – BEAUTIFULLY FURNISHED 2,287.5 sq.ft. (212 sq.m) PENTHOUSE CONDO FOR SALE IDEALLY SITUATED IN THE GATED COMMUNITY OF PUERTO AVENTURAS ON THE MAYAN RIVIERA MEXICAN COAST JUST SOUTH OF THE TOURISTIC CENTER OF PLAYA DEL CARMEN. WITH PANORAMIC VIEWS OF THE GOLF COURSE, DOLPHIN DISCOVERY, AND TURQUOISE CARIBBEAN WATERS, THIS 2 STORY CORNER CONDO HAS 2 LARGE BEDROOMS, 2 1/2 BATHS, OPEN AREA LIVING SPACES, A LARGE VERANDA FACING ALL GREEN COMMON GROUNDS AND A 175 ft. INFINITY SWIMMING POOL. 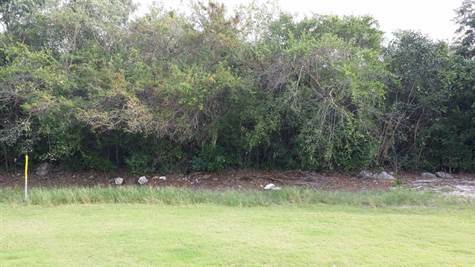 Bahia Chemuyil, Puerto Aventuras – Puerto Aventuras Golf Course Lot for sale- 1.5 blocks from beach (5 minute walk), on golf course, on very quiet very low traffic street with no possibility of building across the street. Quiet! Located inside the secure and gated golf community of Puerto Aventuras, this lot for sale is perfect for building your dream hoe in Mexico. 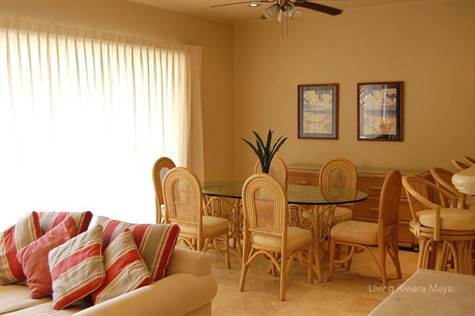 Enjoy restaurants, marina and ocean in this quiet and charming community of Puerto Aventuras. 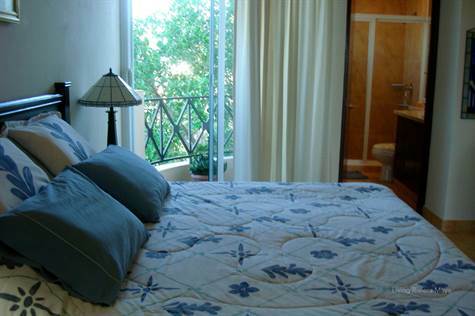 Close to PLaya del Carmen and Tulum and less than an hour to Cancun International airport. Owners love this area and chose to buy to build a quiet home. Quiet, Clean beach, marina, restaurants! Just a perfect place to build a nice home. This is a great opportunity to buy and build a custom home ! Call for more information. 2,287.5 sq.ft. (212 sq.m) PENTHOUSE CONDO FOR SALE IDEALLY SITUATED IN THE GATED COMMUNITY OF PUERTO AVENTURAS ON THE MAYAN RIVIERA MEXICAN COAST JUST SOUTH OF THE TOURISTIC CENTER OF PLAYA DEL CARMEN. WITH PANORAMIC VIEWS OF THE GOLF COURSE, DOLPHIN DISCOVERY, AND TURQUOISE CARIBBEAN WATERS, THIS 2 STORY CONDO HAS 2 LARGE BEDROOMS, 2 1/2 BATHS, OPEN AREA LIVING SPACES, A LARGE VERANDA FACING ALL GREEN COMMON GROUNDS AND A 175 ft. INFINITY SWIMMING POOL. Beachfront Condos, Puerto Aventuras – Fantastic direct ocean views in this large, fully furnished ground floor condo for sale. It is located in the gated golf community of Puerto Aventuras, about 15 minutes south of Playa del Carmen. This condo offers 2 bedrooms and 2 bathrooms with direct access to the pool and beach off the spacious terrace. Puerto Aventuras is a secure gated golf community with exceptional marina. Quiet yet lots of choices in restaurants and activities. Day trips for fishing and ocean adventures. A short drive to vibrant & hopping Playa del Carmen and 40 minutes to Tulum beaches. This is a great property for sale, in a great location. Call us for this condo for sale or any other real estate in the Riviera Maya.